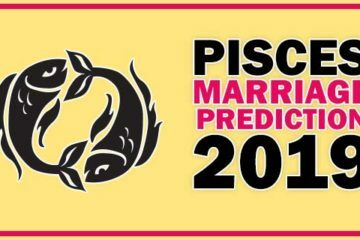 The marriage horoscope for Gemini in 2019 says you will have to wait for marriage this year but the prediction for love marriage is positive for Gemini in 2019. Let’s know in detail. The year 2019 is coming up with new challenges for Gemini Zodiac. On one side Saturn’s sight is on the wedding or marriage i.e. seventh house, on the other side, Rahu and Ketu will stay in seventh house in 2019. Jupiter will remain in sixth house. You will see that your life will be full of turmoil with the influence of Rahu Ketu and Saturn. In this year, you will find a variety of surprises. As far as marriage is concerned, Sun Mercury and Saturn are sitting in the seventh house of your horoscope at the beginning of the year. Being in the 7th house of the Horoscope of the Ascendant indicates your seriousness for marriage, but at the same time, the planetary position is not perfectly suited for marriage. In this year, Jupiter is sitting in the sixth house, a house before the marriage house, so your wait may be a bit longer. But for those who are in love relationship & want to get married, this year is coming up with opportunities. In the month of January conjunction of Sun and Saturn in the 7th house is not a good sign for marriage. Venus will be in the fifth house in its own zodiac, hence the relationship will improve definitely but in the middle of January, Venus will accompany in Scorpio sign with Jupiter again this can’t be considered good for marriage. The transit of Venus in the seventh house will definitely bring some good marriage proposal but due to other planets, you are far away from the marriage. March will remain like the February. In other words, there will be no change in the situation. 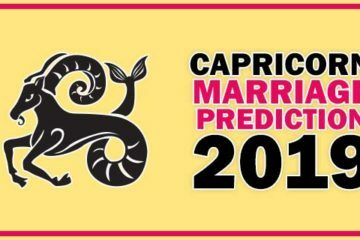 Marriage horoscope of Gemini in March is same like previous month. April’s month will bring a change in the relationship. Jupiter will accompany Saturn & Ketu in seventh house. Rahu will sit in the first house and will put its sight on seventh house. Those who are in a love relationship and want to get married, their efforts can be successful. Some people of Gemini may get a good marriage proposal but there is still no hope of marriage due to Mars’s aspect. In the month of May, Jupiter will move back to Scorpio and seventh house will be free from the influence of Jupiter, hence the possibility of marriage is not for the Gemini people in the month of May. In the month of June, the situation will be even worse when Mars and Rahu will sit in the first house and put their sight on seventh house thus the seventh house will be suffered greatly. The influence of malefic planets will be so much that one should not try for a marriage because your work may get spoiled. It is advisable to people of Gemini to don’t take any marriage decision in the month of June. In the month of July, Mars will leave the first house and will enter in the second house of the horoscope. Venus will be in the seventh house. You may see a ray of hope but still, this yoga is not enough for marriage. Some good marriage proposal will come but they will not response you positively. 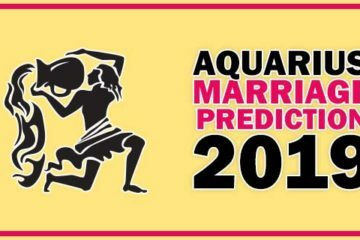 For the marriage prediction August may be considered good because Ascendant Mercury is in the first house of the horoscope, so the people of Gemini who are in love relationship & want to get married, August is the best month for them for Love Marriage. The sight of Mars is at the fifth place, so don’t be too hasty and work with endurance, your work will be done. Saturn and Ketu’s influence in the month of September will be at the seventh house. This time is not suitable for arranged marriages. No marriage proposal, no marriage, but the option of love marriage is open. The month of October is good for the people of Gemini. There will be some relationships that will keep your hopes alive and which can be extended further. For the sake of marriage, the month of October is even better because the Mercury is seated in the fifth house. In the month of November, Mars will remain in the seventh house, so you will face the failure in matters related to marriage. Jupiter’s transit will be in the month of November and Jupiter will come in the ninth house of your horoscope. Of course, Rahu and Ketu’s influence is also there, but the possibility of marriage will increase after November. After the month of November, the chances of your marriage will come into existence, so use the time, try to take decision according to the stars. In the month of December Venus & Jupiter will be together in the seventh house and the seventh house will be very strong. For marriage, the month of December is very auspicious. There will also be improvement in case of Arrange Marriage and your relationship will move forward. If you keep doing the remedy of Saturn and pacify the Saturday with remedy then there will not be and hurdles & obstruction in the path of marriage. In short, I will say that Love Marriage is good for Gemini with the influence of Rahu & Ketu. Therefore, in 2019 people who want to get married, there are a lot of chances for them. Those interested in arranged marriage should do Saturn’s remedy. Gemini may get married in the months for those I have expressed my hope positive for marriage, just keep doing Saturn’s remedy.